People who fill out Ollie’s Bargain Outlet application are looking to join a company that offers their customers excellent products at a severely discounted price in locations across the Eastern United States. Links to apply for jobs at Ollie’s Bargain Outlet are at the bottom of the page. 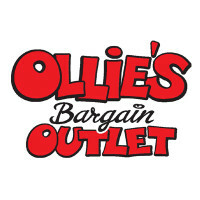 Ollie’s Bargain Outlet was opened in 1982 in Mechanicsburg, Pennsylvania by Oliver “Ollie” Rosenburg, Mark Butler, Mort Bernstein, and Harry Coverman. Within five months of the first store opening, the second store was opened in Harrisburg, Pennsylvania. Throughout the rest of the 1980s, 1990s, and early 2000s the company expanded and introduced their loyalty program for customers. In 2011, Ollie’s Bargain Outlet opened their one hundredth store in Barboursville, West Virginia. Currently, the company runs over a hundred and eighty one stores in sixteen states. They have two distribution centers, the newest being opened in Commerce, Georgia in 2014; the first distribution center is in York, Pennsylvania. This company strives to give their customers great products are a severely discounted price because the merchandise may be liquidated, have a change in packaging, overstocked merchandise, or salvaged merchandise. Because of this, each store may sell different products from different brands. At the corporate level, Ollie’s Bargain Outlet jobs will have you working in Harrisburg, Pennsylvania. Most of the positions are geared towards offering support to their stores across the country or finding new products with suppliers for the company to sell. A minority of positions work towards making sure that everything is going smoothly within the corporate offices themselves. Locally, people with Ollie’s Bargain Outlet careers are focused on giving customers the excellent service that the company is known for. Although Ollie’s Bargain Outlet is concentrated in the Eastern United States, they are quickly expanding, opening at least two new stores in 2015 in new areas. How old do you have to be to work at Ollie’s Bargain Outlet? Age requirements vary by position. As you browse Ollie’s Bargain Outlet jobs online, make sure to read all the position needs carefully as some jobs may require various degrees, certifications, or experiences before you take the job. Although Ollie’s Bargain Outlet are in different states, most stores maintain the same hours, usually opening around nine am and closing around nine pm, Monday through Saturday. Hours on Sunday are reduced, with the locations opening around ten am and closing around seven pm. Sales Associate – As customers come in, you’ll greet them with a smile and make sure that they find everything they’re looking for. Because customers will ask you questions, you’ll need to know about any promotions and advertisements as well as the usual products and sale prices. Compensation is around $20,000. Co-Team Leader – You’ll work closely with the Store Team Leader to make sure that everything is working smoothly on the floor with the sales staff in order to help you meet and surpass monthly sales goals. Compensation is around $30,000 a year. Customer Service Associate – Maintaining a customer friendly environment is what this position is all about. When there are issues with guests, you’ll work to solve them with a variety of skills, depending on what the situation calls for. Compensation is around $25,000 a year. Store Team Leader – You will provide leadership for the store. By working closely with the Co-Team Leader, you’ll create a team that works to give customers the best experience that they can while you maintain a clean store and meet or surpass sales goals. Compensation is around $40,000 a year. Payroll Manager – When it comes time to hire new people for the payroll team, you’ll be the one to select and train them. In order to keep the company is compliance with state and federal standards, you’ll calculate and pay out over time to their requirements. Compensation is around $45,000 a year. Why do you want to work for Ollie’s Bargain Outlet? This is an extremely common interview question, so you should be prepared for it. Talk about what drew you to the company, whether it was the culture or benefits and why it’s your first choice in places to work. What experience do you have? Highlight all of your relevant experience. If you don’t have any, talk about what you can bring to the position and offer the company. Make sure to use plenty of examples to back up and support any claims that you may make. Because Ollie’s Bargain Outlet relies heavily on customers for their business, you may be asked this question in the form of a hypothetical situation: How would you take care of an upset customer? Walk your interviewer through the steps you would take to turn the customer’s experience around, making sure to be practical and realistic. Several positions require you to carry heavy objects or stand for long periods of time, so you may be asked: Is there anything that could keep you from doing your job? Be honest, the company will try to work with you in order to make sure that you can do your job to the best of your ability. How to apply for Ollie’s Bargain Outlet online: search for the position that you’re interested in where you live. Once you’ve found it, read through all the position requirements closely before filling out your Ollie’s Bargain Outlet application. Most of the positions, if you apply online will need you to send in a resume. There is no printable application for Ollie’s Bargain Outlet, but they do encourage you to apply in stores. Before attending your interview, do research on Ollie’s Bargain Outlet and the industry in order to come up with a list of questions. This may seem excessive for an entry level position, but it will place you above the other candidates as it shows that you think ahead and are prepared. Your interview will take place in a semi-formal setting, so you should dress in business casual, at the very least. If you’ve applied for a managerial or supervisory position, a suit would also be appropriate attire. Make sure to have a positive and friendly demeanor as it will give a good impression. Show gratitude at the opportunity to interview with Ollie’s Bargain Outlet. Afterwards, inquire about the best way to check on your hiring status as some, but not all, candidates will learn if they got the job during their interview because Ollie’s Bargain Outlet will want to screen all applicants before making a final decision. Fossil: Visit the Fossil application. Babies “R” Us: Visit the job application for Babies “R” Us to apply today. Coach: For career opportunities, fill out the Coach online application. Vitamin World: Use the Vitamin World job application to apply here. Dollar General: See our guide for careers at Dollar General.